Earn up to 304 reward points. 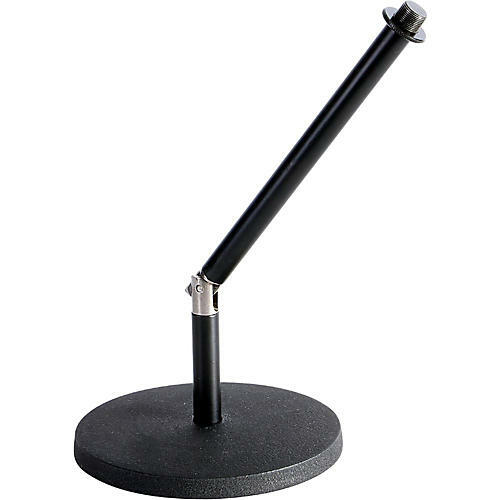 Patent-pending Rocker-Lug allows this desktop mic stand to tilt up to a 40° angle, making a boom arm unnecessary for most uses. Tilts and stays in position with no knobs to tighten. The straight vertical height is 12". Threaded to fit most mic clips. Convenience and ease-of-use make the Desktop Rocker-Lug Mic Stand ideal for home recording; podcasts; DJs; stage performances; and kick drum, amps, and pianos.